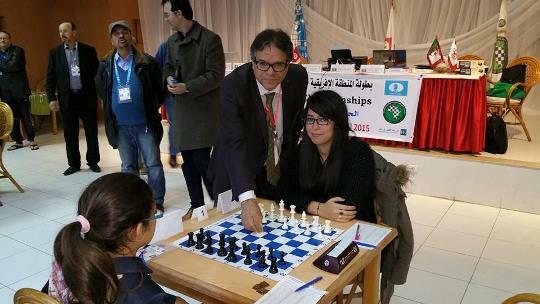 The Tunisian Chess Federation hosted the 2015 FIDE Zone 4.1 Individual Chess Championships from 25th March to 1st April in Hammamet, Tunisia. 28 players of 4 countries gathered for the event held under the auspices of the African Chess Confederation (ACC). 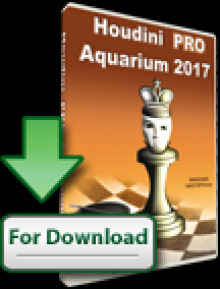 In the Open section 18 players from Algeria, Mali, Mauritania and Tunisia competed for the International Master title and the qualification to the 2015 FIDE World Cup in Baku. 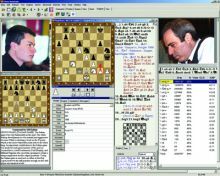 The winner was the Tunisian FM Amir Zaibi 2332 with 7 points from 9 games, edging his compatriot Med Ali Boudriga on tie-break. 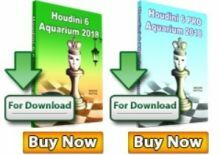 The top seed GM Mohamed Haddouche finished 4th. 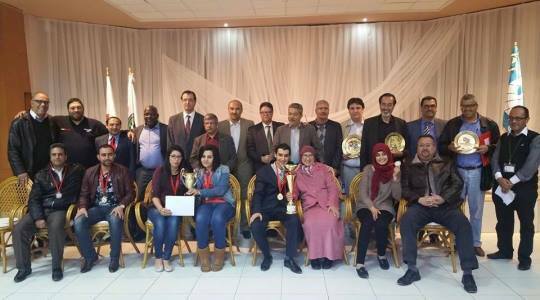 10 players from Algeria and Tunisia played in the women’s section, where WIM Amina Mezioud from Algeria emerged the winner with 8,0/9 points. Full standings below.